March 10-15 2014 was a significant week for me. It is the only week of the year where I don’t have to keep promoting Open Education. 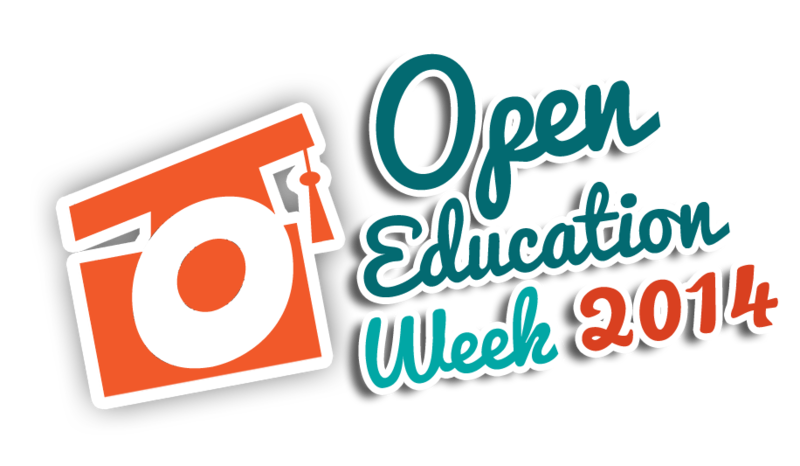 This may seem odd, particularly because that week was Open Education Week, but i spend most of the year promoting open education and this is the week where I get to watch others promoting it too!! For this years activities I decided to join up with other open enthusiasts through the nwoer group. Although I am not strictly in the North West I am only just the otherside of the Pennines so consider that to just about being eligible! The suggested resources were made available form the NWOER site and activities identified for a particular day of the 5 day experience. This was then facilitated through a range of network activity, including a Facebook Group, a Google Community and twitter chats using #nwoerchat as the hashtag. So, what happened? Well it’s difficult to capture all of the activity but it was clear that the highly active text chats were a resounding hit. 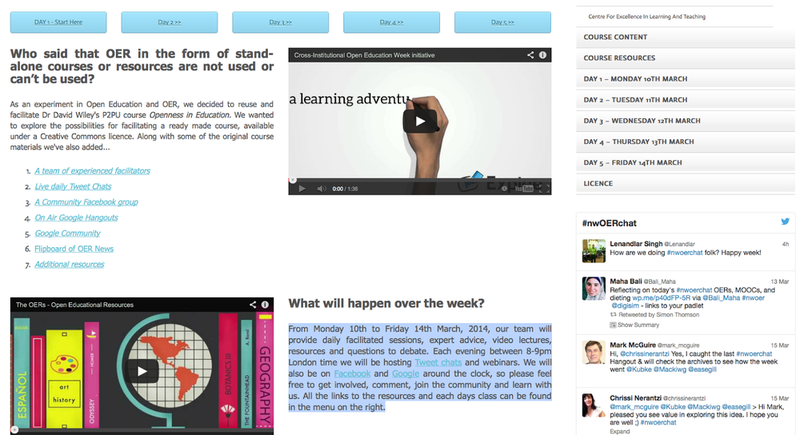 Very fulfilling and clearly a great way to engage with a broad range of people who are new and established OER users. The facilitators led the conversations by posing questions. The discussions were very rich, but rarely referenced the P2P course material (not that it was meant to but it was just an observation I made).